Thread: 2010 Alipinestars DH mtb range! a-stars have designed a pure mtb range, no longer just mx kit. Not into either the MX or all-overprint LSD pajama look. Are there any companies offering anything decent looking this year? But still, if it protects travis pastrana (he wears aplinestars boots) then it automatically qualifies as awesome! most important question is...will it be available in the states. their MX stuff is hard to come by in the US. their kits at least. boots and other protection you can get easy for some reason. 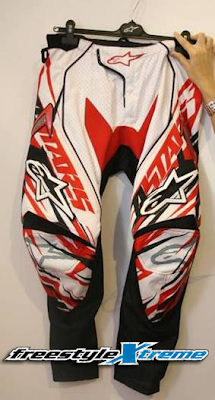 My only wish is that a moto kit company would make some pants with a length size too. My pants are always half way up my shin by the time i start pedaling. with a bit of luck your problem should be sorted "huntandride" as these look like its mx kit but have been designed for mtbing..
That would be awesome. Im going to look into these for sure when they are available to buy.